UAE-based Al Hamra Real Estate Development (AHRED) has received the award for Mixed-use Development - Ras Al Khaimah from the International Property Awards 2013. The prestigious award was awarded for the development of Al Hamra Village, which was recognised by an international panel of judges. Al Hamra Village is a Dh1 billion ($272 million) development which presents seaside and golf course views in a world-class community. 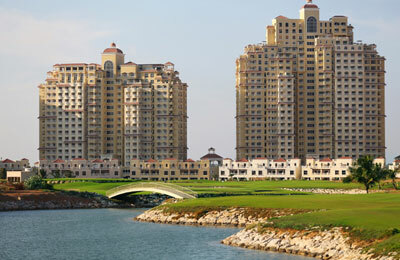 Its 7.1 million sq ft expanse is set around salt water lagoons, an 18-hole championship golf course, Arabic styled mall and a beautiful marina. Recently, AHRED has also seen the completion of Al Hamra Mall’s extension and the Waldorf Astoria Hotel. “We will keep striving to provide high-end quality developments in the future. Our future developments in the pipeline will add even more to the collection of superb quality of homes within our community,” he added. The International Property Awards are open to residential and commercial property professionals from around the globe.